EDS go paperless with the SolarSys Quality Assurance System — running on pocket PC devices and using barcode scanning to manage assets. With so many business functions today being subcontracted, the responsibility of some departments in local authorities and private businesses has shifted in recent years from the previous direct delivery of services to the current and future monitoring of subcontractor performance and customer satisfaction. The introduction of a comprehensive quality assurance system for efficiently collecting, collating and reporting performance data is now essential for managing subcontractors within an outsource contract if a high quality service is to be maintained. The SolarSys Quality Assurance System is a fully functional database, workflow and reporting system that can operate on the Council's existing PCs and servers. With PC technology now available in handheld devices, the SolarSys Quality Assurance System can be extended for use on customer sites and synchronised with the central database on return to the office or even in real time using mobile networking. The following table outlines some of the main benefits of such a system when used for quality auditing compared to traditional paper base (clipboard) methods. 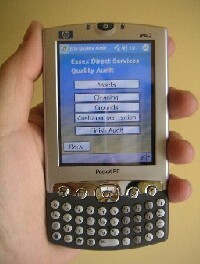 The SolarSys Quality Assurance System uses the HP iPAQ h4350 Pocket PC but will work on any Pocket PC platform. This model was chosen because it has a built-in keyboard and integrated Bluetooth® technology and WiFi (WLAN 802.11b) wireless capabilities. A barcode scanning capability can also be added. 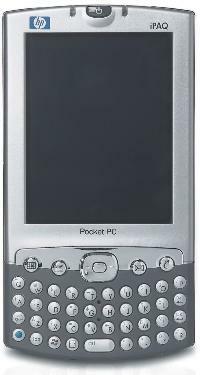 The Pocket PC runs Microsoft® Windows® Mobile™ 2003 Software for Pocket PC (Premium Edition) and is supplied with Microsoft Outlook. The SolarSys quality audit application has been designed to run under this operating system and therefore benefits from any upgrades that are introduced by Microsoft and HP. Many of the standard features of the SolarSys Quality Assurance System can be adopted directly by your company. Additional functionality specific to your business can be rapidly added to the system using the SolarSys Recommended Approach to system implementation.